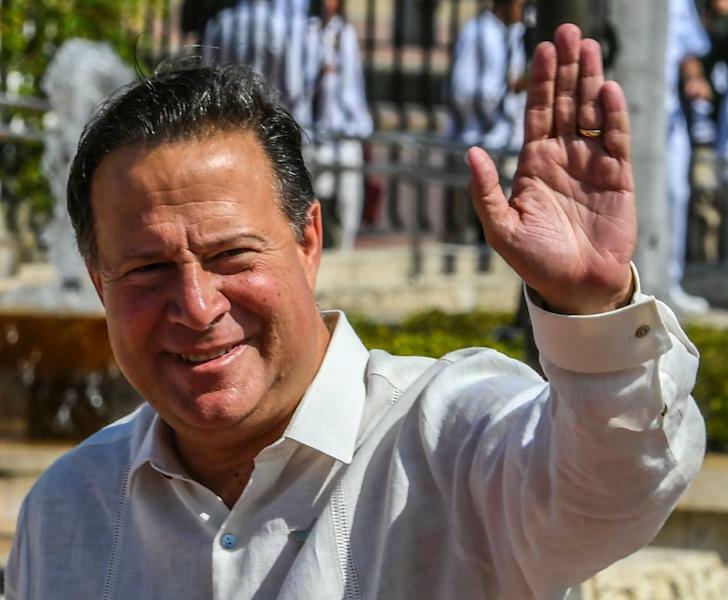 Panama's President Juan Carlos Varela said inclustion on an EU blacklist of tax havens "is an unfair measure"
Panama City (AFP) - Panama, shaken badly last year by the "Panama Papers" revelations, on Tuesday reacted angrily to its inclusion on a new European Union blacklist of tax havens and called its ambassador to the EU back home for consultations. "This is a regrettable decision," President Juan Carlos Varela told reporters. "We feel this is an unfair measure." His economy and finance minister, Dulcidio De La Guardia, said on Twitter: "I reject the arbitrary and discriminatory inclusion of Panama on the European Union tax haven lists." The foreign ministry said it had called its ambassador to Brussels, Dario Chiru, back to Panama City "so as to consider the next steps." The EU earlier Tuesday unveiled its blacklist of 17 non-EU tax havens, which included Panama. The leak of the "Panama Papers" -- a massive amount of data from a prominent Panamanian law firm that helped the world's wealthy stash assets in offshore entities -- led to numerous probes around the world. A follow-up leak of offshore havens called the "Paradise Papers" last month gave further impetus to the EU move. Some EU states believed the public shaming was punishment enough, but others -- including France -- wanted to see tough measures imposed, such as excluding the listed nations from World Bank or EU funding. Panama passed a law in September 2016 allowing it to take a range of steps against countries deemed to "engage in practices that discriminate or imply damage" to its economic interests. Varela said his country had done "lots of work" to make sure it did not appear on any tax haven list, but complained that the requirements to be met kept changing. "Panama is not in any way a tax haven," he asserted, adding that he would take the matter up to the "highest" diplomatic levels.